Finland has been rated as one of the top (that is, best) countries to be a kid (in 4th place after the Netherlands, Sweden and Denmark, Source), and one best countries to be a mother (6th place, Source). 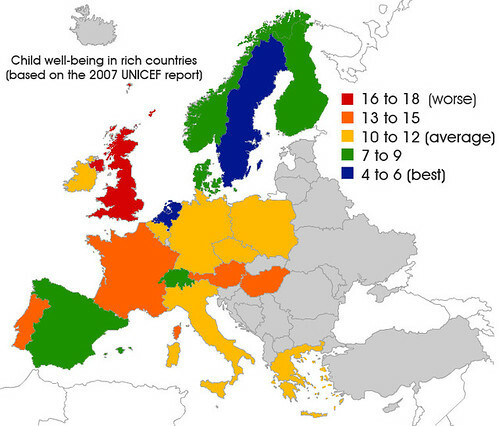 Therefore, it’s no surprise to see Finland doing this well on this map either. Source of the maps: Eupedia.com. 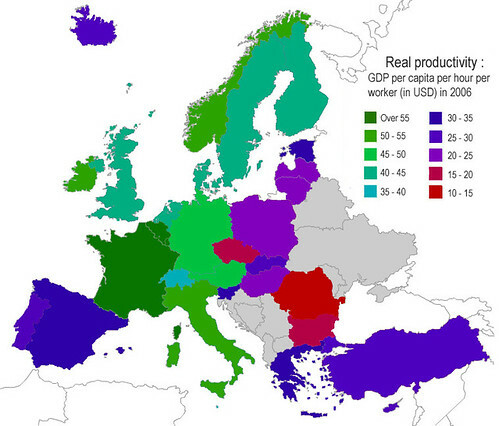 You can check out many more maps of Finland vs. Europe there, but I found these ones to be the most interesting. 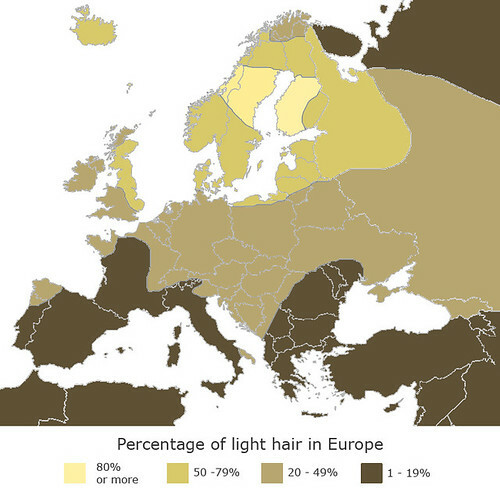 I read somewhere that 1 in 5 people in Europe are blonde, but only 1 in 20 have truly blonde hair. The Fins may just skew the stats by dying their blonde hair black! I’m dark blonde or ash blonde haired and blue eyed young finnish man, and I have to add that finnish people look different in different places of Finalnd. I personally live in the west coast, in the city of Pori, and here about 1/2 of us are blonde. And this is the trurth. I think my area is one of the blondest places i the world. But only 1/15 are really white blondes. These “white blondes” can be so blonde that they have white eyebrows as well. Other 1/2 of the population are light brunettes, but I know couple of natives with dark brunette hair as well. I see also natural gingers here everyday when I walk in the town. Gingers are really tiny minority of us, maybe 1/50 or less. It is more common that blond finnish man from the western Finland have ginger beard. I have never seen native Western finn, who is non-blue eyed. I think here the percentage of blue eyes is more than 95%. When I have visited in the city of Joensuu, which is located in the eastern Finland, I have seen less blondes than in my home area in the west. And never “white blondes” or gingers. But percentage of blondes is still near 1/3 there as well. Other 2/3 are brunettes, and some of them are brown eyed. 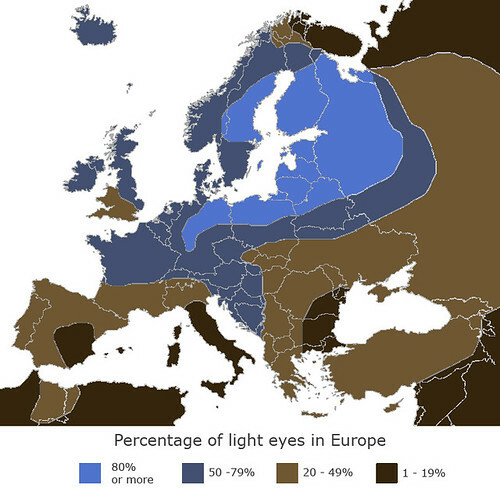 Blue eyes are the dominant eyecolor in whole Finland, except the northern Lapland. In Lapland people look more like “sami-people”, and they have more “mongolic” face characteristics with small nose and narrow eyes than southern finns, whose are pure scandinavians. But people in Lapland can still be blonde or “white blonde” with blue eyed as well. When we go to northernmost Finland, blondes disappear and population is more narrow and brown eyed brunettes. But mostyl light brunettes. These people look more mongolic than most of Europeans but they are not Asians. I am interested in this as I have many Finnish relatives & can trace my ancestory back to 1500. There is a connection to Marshall Carl G E Mannerheim’s ancestors through my grandfather’s nephew Oliver Hawke’s (Errki Hakasalo) father’s ancestors. Observing our extended family there is a combination of very blondes (my 1/4 finnish brother being one of the blondest) with blue eyes and there are some very dark brown haired, dark brown eyed, all in the same family of 100% Finnish. Our ancestors mainly lived in Tampere, Turku, Pori, Vaasa, Oulu & north west of Rovaniemi.